Maison KitsunÃ© 's fox mascot (chosen as a symbol of versatility) appears here in its French incarnation. 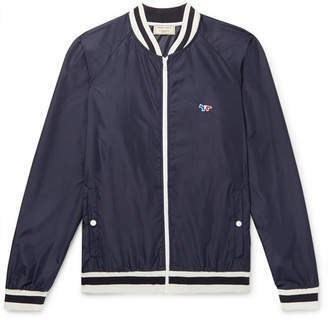 Based on varsity jackets, this bomber is made from lightweight shell and bordered with sporty stripes. Try yours over one of the brand's graphic tees.